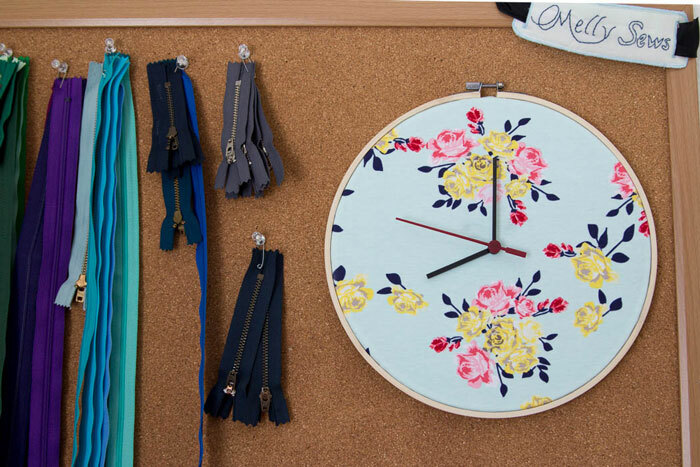 Hey y’all, here’s another uncommon objects project – how to make a DIY embroidery hoop clock, which is the perfect clock to have in your sewing room. 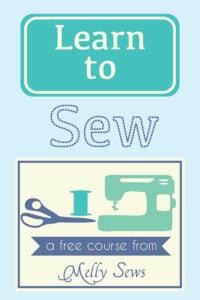 Because, let’s face it, when you’re sewing along in your happy place, it’s easy to lose track of time. 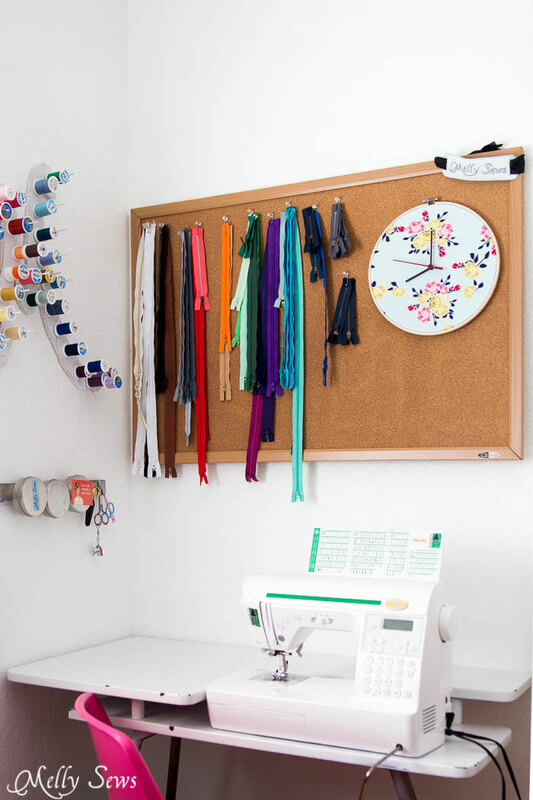 And doesn’t it fill that empty spot on my zipper storage board perfectly? 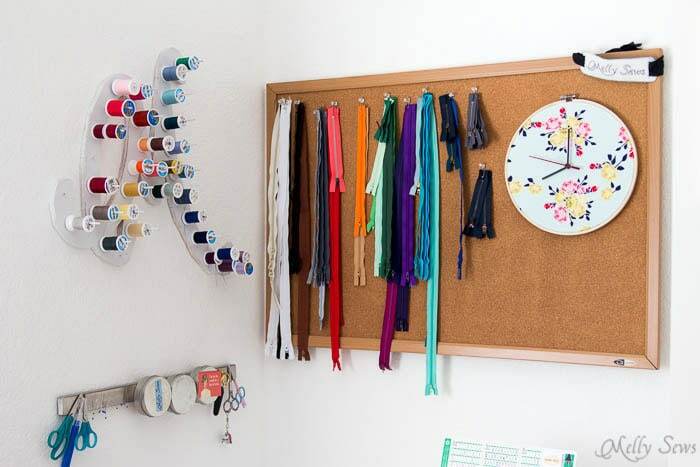 This was a super easy project, and pretty inexpensive too. I started with an Ikea clock, this one. 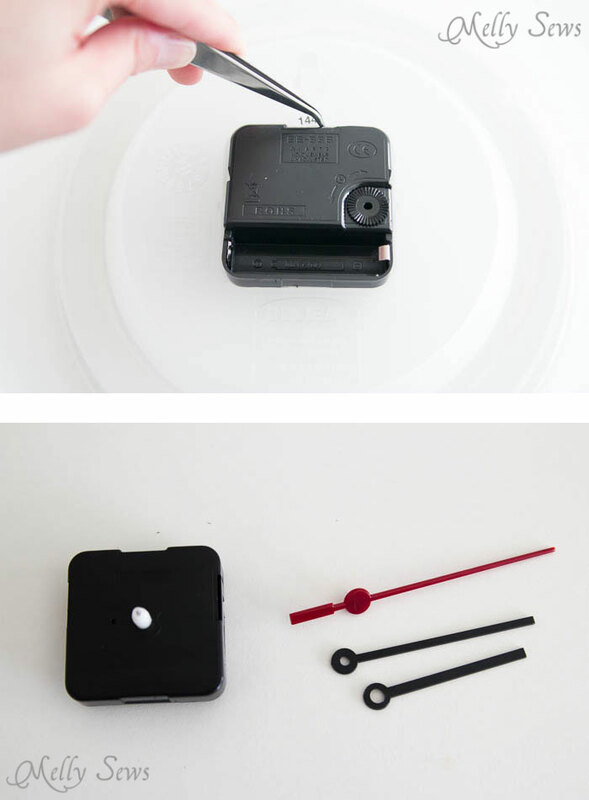 I decided to do this instead of buying a clock kit (affiliate link) like this one because it was only $1.99, so worth taking apart. 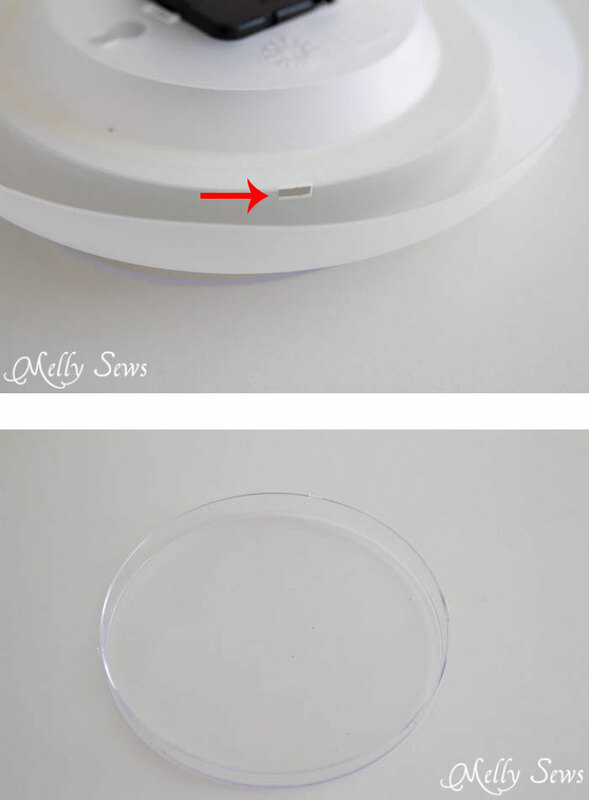 To deconstruct the clock, I found the tabs on the sides and used a screwdriver to push in the tabs on the clear cover in and pop it off. Next, I had to gently but firmly pull off the second hand. Once I got that off, then it was easy to lift off the minute and hour hands above. Finally, I pried the mechanical casing out of the back of the clock. That left me with the parts above that I needed. 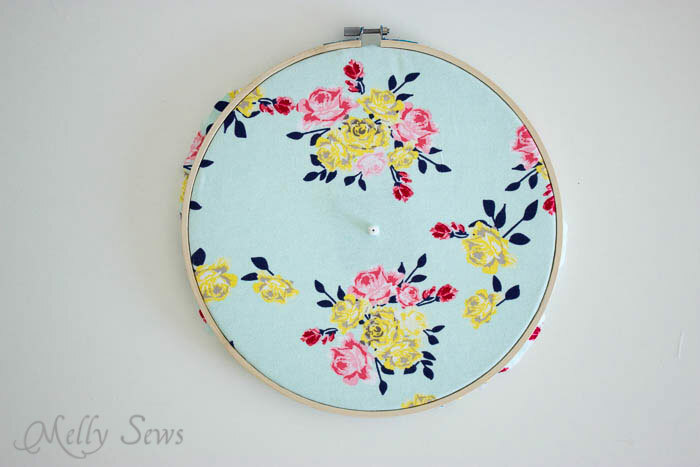 I decided to use some of my Idle Wild fabric for the clock face. Since this fabric is a knit, I fused heavy weight fusible interfacing to the back side. Then I cut the fabric slightly larger than the hoop and added hot glue around the edge of the inner hoop before pushing it into the outer hoop and fabric. 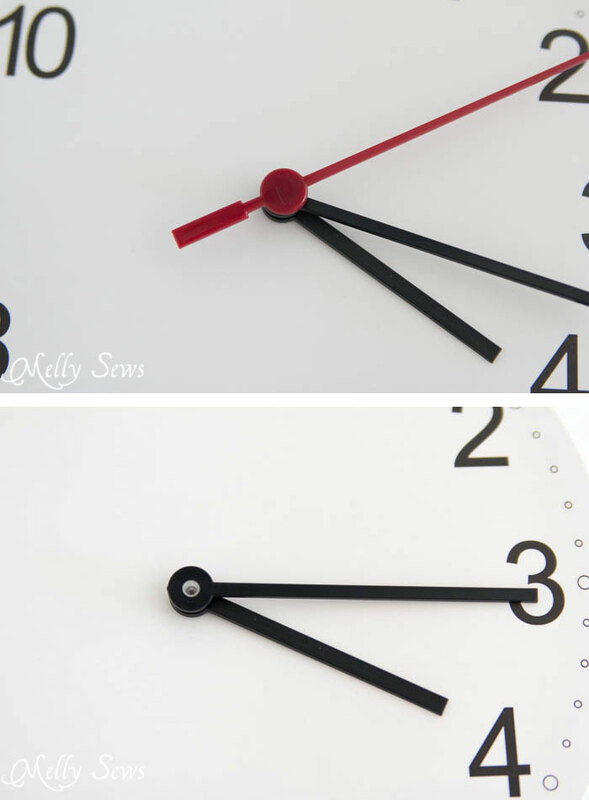 Next, I poked a small hole in the center of the fabric to insert the clock casing, which I also hot glued to the back of the fabric to keep it from twisting. I trimmed the excess fabric off the hoop, then it was just a matter of putting the hands back onto the clock, and done! 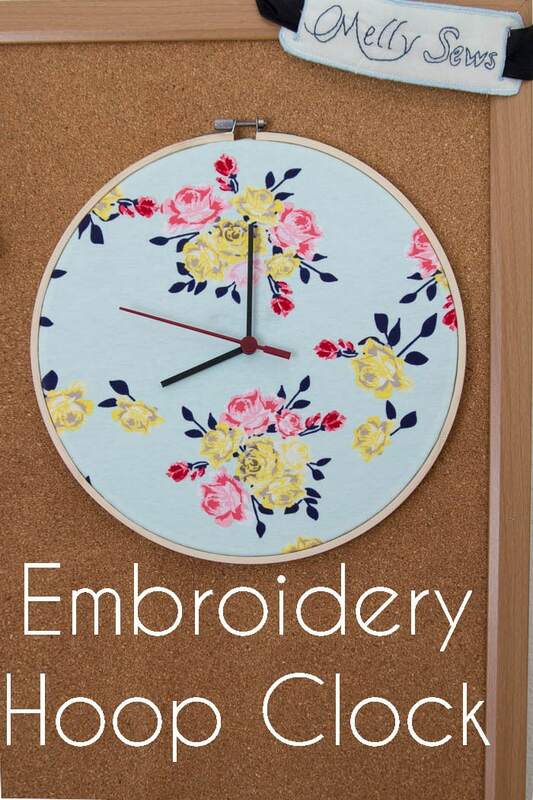 Since I chose such a busy print for the clock face, I decided to forgo numbers or number indicators around the edges of the hoop. I considered using buttons, but ultimately liked the minimal look better so the print shines. I was so distracted once I read that sentence about an “empty spot”……….. how do I get one of THOSE? 🙂 Love the clock!! I loooooooove this! 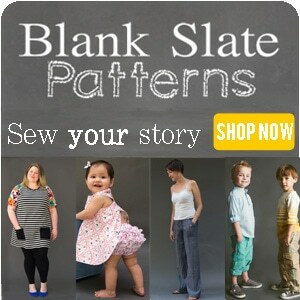 So creative, and I of course love the fabric you used! WOW Just love the clock! !